NEW YORK – Mayor Bill de Blasio and First Lady Chirlane McCray announced the appointment of six new members to the City’s Commission on Gender Equity, including Indian-American Chitra Aiyar. The Gender Equity Commission is “tasked with supporting City agencies in dismantling institutional barriers for women, girls, and New Yorkers of all gender identities and expressions,” a press release from the Mayor’s office said. 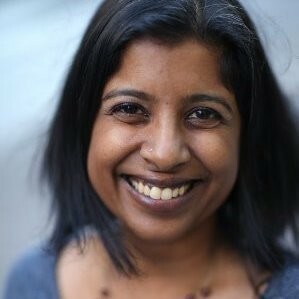 Aiyar is the executive director at Sadie Nash Leadership Project. Others appointed to the Commission include City Council Member Diana Ayala; Andrea Hagelgans, executive VP at Edelman New York; Robina Niaz, founder and executive director of Turning Point for Women and Families; Arva Rice, president and CEO of the New York Urban League; and Council Member Carlina Rivera. “The new members bring a wide array of experience across various industries to the Commission, including advocacy, fundraising and communications skills across the nonprofit, government and corporate sectors, among others,” the press release says. The Commission on Gender Equity aims at developing and supporting policies that promote opportunities for cissgender and transgender women and girls in all areas, including employment, housing, childcare, education, health and reproductive justice, criminal justice, and public safety. It advises the Mayor and City Council on initiatives and methods to reduce gender-based inequality. The 32-member permanent advisory commission was formed by Executive Order in 2015, and was codified as Local Law 67 in September 2016. The Mayor and City Council Speaker each make appointments to the commission. Before becoming the executive director at Sadie Nash Leadership Project, Aiyar was a staff attorney for the African Services Committee in New York. Born in the United States to parents who emigrated from South India, Aiyar has both BA and BS degrees with distinction from the University of California at Berkeley. She has a JD from New York University (2004). She has recently worked on a Hurricane Katrina reconstruction project at the Brennan Center for Justice. “She intends a life in law as an advocate for the poor,” the press release said.